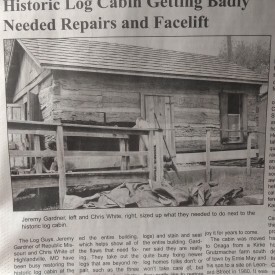 Log home restoration is much more than a process to us. We want to be your log home care company from now until, well, forever. Once we are done restoring your log home, repairing your log home, sealing your log home, improving your log home, or maintaining your log home, our relationship does not end there. Our work is guaranteed, and we will work 110% to get your 120% satisfaction! When the need arises, our staff and crew will be there to either maintain or fix your log home or log cabin in the Madison AL area! Call us today or ask for a quote from our website! 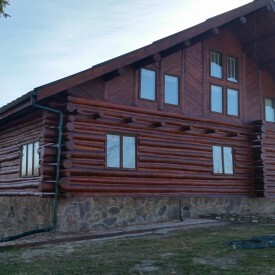 Our log home restoration process begins by stripping the old stain with a media (corn cob, sand, glass, or walnut) blasting, and then you have the option of sanding the logs before cleaning with a borate treatment. Once that is complete, chinking or caulking can be applied to get rid of gaps between the logs before coating the logs with the best stain product. 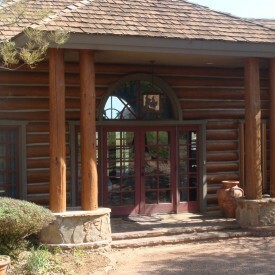 We work really hard to rejuvenate your log home, and you will love the results! Contact us by phone or online today! Are your logs getting soft or do they sound hollow? Have you noticed holes in your logs that you think may have been dug by bugs, insects, bees, or birds? Has the structure of your home been affected due to severe weather or old age? Then give us a call or ask for an estimate online, and our staff will prepare and give you the best solution for your log home. Our crew has repaired or replaced thousands of feet of log, leaving each client of ours with a home in excellent condition. 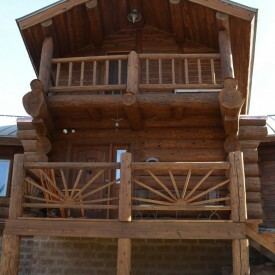 If you want the best log home repair company, then look no further than 888-LOG-GUYS! Over time, gaps may develop in between the logs of your log home, and that could lead to some potential problems. A few examples of those log home problems are water leaks, air drafts (especially around windows), and invading bugs or insects. At 888-LOG-GUYS, we want to be sure that you are comfortable in your log home and that it is protecting you from nature’s elements. Not only do we seal log homes in the Madison Alabama area with a brand new energy seal, but we can also repair any existing energy seal that has been applied. You may contact us by phone for a free estimate or request one online! What’s the old saying? “Change is good.” Our company believes in change also for the sake of improvement, and we also specialize in improving log homes. If your log home needs to be refinished with some new additions to give it new life, then call us with your ideas, and we can tell you how to achieve them. 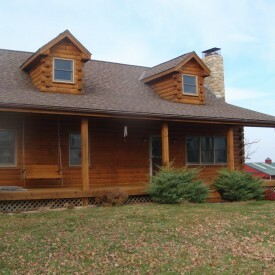 We know you take great pride in your log home or log cabin and always want it to be its best. 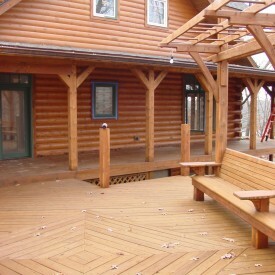 We can build decks, porches, or patios on the exterior. We can construct log railings and log staircases for your interior. Or if you have something else in mind, then go ahead and let us know! We are here to help you keep your log home unique! When it comes to log home or log cabin maintenance, there is no shortcut way to go about it! Every 4-5 years is the average time between each cleaning that a log home needs to stay in great condition. Don’t let time slip by! Call 888-LOG-GUYS, and we can tell you the next time your log home or log cabin is in need to be cleaned. And you can bet we will keep in touch to make sure your log home has no problems from that point on. Trust us! Proper log home upkeep will save you time and money! And your log home will always be in excellent condition and look fantastic!